As an adult, you have a very busy schedule that may include a job, spouse, and children. 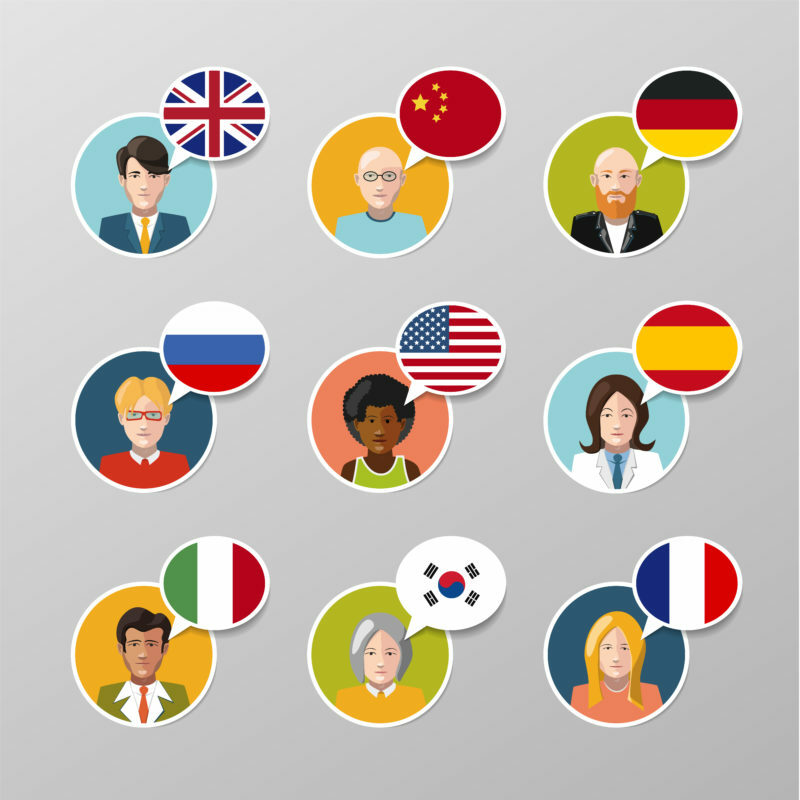 What time would you really have to learn other things including nine different languages? However, if you are able to squeeze it in, go for it. Knowing other native tongues besides your official language will help you in furthering your career. You will be able to reach more people and get more leads for your job, which means you can get that promotion. It does not stop there. Climbing that corporate ladder because you are able to speak more than one language is a great thing because you will have more income coming in. You can take a lavish vacation and enjoy going places where you speak their language to understand the culture better. There are plenty of languages out there that have code resemblance to the English language. They would be the easiest for you to pick up in the spare time that you have. You would only need about 15 to 30 minutes a day when the children are either at school or have gone to bed. You could do this on your lunch at work. The time to get this done and make yourself a well-rounded person can be found if you prioritize. Of course, you need to learn one language at a time. Here is a list of nine languages that you can learn. The best way to do it is to learn the easier ones first and then go back to get the harder ones. The Afrikaans language can from the West Germanic influences and is not an inflective tongue. This language is a breeze in terms of the phonetics and also the pronunciation. It is that “g” that you have to get which makes the “cha” sound. Other than that you could pick up this language easily since it shares the same phonetics as English. This language is mostly spoken in South Africa, Nambia, and Botswana. If you were trying to decide which language to learn first, this would be the one to go with. Danish is a Scandinavian language that is very difficult to pick up. If you are wondering how hard is Danish to learn for English speakers. Consider this in most of the upper northern countries of Europe that generally speak the language, speak English instead. This language is full of monotones at first is very flat. This is because the speaking pattern that comes from it is very difficult to learn. I would not say to put the Danish language off of your list. You could do just the easier languages first and then just come right back to that. How hard is Danish to learn for English speakers? If you could find someone who knows it that could help you with speaking it, then consider yourself lucky. French is a language that most teenagers learn in high school aside from Spanish. If you can pick up the language in high school then you should remember the fundamentals of it to really grasp the language. You do have 17 more forms of verbs to learn that the English language contains which makes it more difficult as you really get into the heart of learning the language. You also have to think about the silent letters and pronunciations. Some people get them quickly while others do not. The vocabulary does have an English familiarity with it so, you can learn it. It’s considered a popular romantic language. This is another popular romantic language that is fun to learn but may have some degree of difficulty. It is the Italian language and the words have vowels for endings. You can pronounce the word and it is spelled the same way that you said it. That is what makes this language fun to read. You will not find a lot verbs in this one, and the best way to study this language is to read the Italian menus. If you start there you will pick up the language in no time. The Norwegian language is very easy. Although it is similar to Danish, you will lessen it fast because the pronunciation is very close to English. The plus side is that the tonal accent is stressed either by the word syllable in a word or the second one. You will come across verb forms but they are very simple. You can use the past tense or future tense of the words and still pronounce them with clarity. You may want to start learning this one first to put you in the habit of studying. This language can be easy to pick up but also easy to get confused in. You will like that fact that interrogatives are simple and beautiful words in Portuguese. The pronunciation is a breeze with a lot of English speakers and the language comes with vowel sounds that you say using your nasal cavity. You might have to practice till you get those down, but this is another easy language you add to the top of your list to do first. If you are wondering how hard to learn Romanian, it could be because of the influence the Slavic. This language does possess a degree of difficulty that may take some time to get but seriously, how hard is to learn Romanian? Also, you have to deal with definite and indefinite articles that come before and after the nouns. How hard is to learn Romanian? It does have a lot of Latin context to it, which could help you out if you know the Latin language. This is the number language course taught in schools across the country and this could be a beginner language for you to learn. Spanish is the easier language on this list and you are going to enjoy how fast you learn it. Plus, you could even have helped by asking a person of Spanish descent to tutor you on it. The Swedish language is not hard, it is not easy to learn either. You are going to struggle with the pronunciation of it because if the German style that it takes on. The grammar of it is a bit complexed but you can pick it up fast if you stay at it. There is nothing confusing about it either and no verbs to deal with. Learning nine languages can be fun. Whether it’s how hard to learn Romanian or and easy language such as Spanish you can get it. Start studying your nine languages now.